The Elberta Peach is a rapid growing fruit tree. 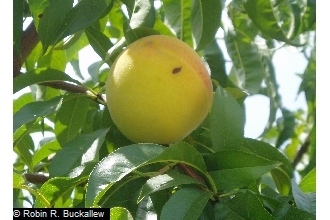 Elberta is one of the most popular peach trees. Its fruit is freestone and juicy. The pit is quite smaller compared to other peach cultivars. Early each spring, Elberta will bloom beautiful pink flowers. The flowers light up landscapes and carry a pleasant fragrance.